Dancers who take a total of 3 hours or less of dance/acro lessons combined per week. Dancers who take 3 hours or less are not mandated to compete in the Beginning Artist Level, but if included in a group of dancers who do take 4 hours or more they must compete in a higher level. Dancers who take a total of 3 to 5 hours of dance/acro lessons combined per week. Dancers in between the beginning and advanced phases of training. Dancers are also limited in competition experience and may not be ready to compete in the Elite Artist level of competition. Dancers competing as a soloist in the Intermediate Artist level cannot compete in any routine in the Beginning Artist level. Dancers may compete in a Duet/Trio and/or group in the Elite Artist level. Dancers who take more than 3 to 5 hours of dance/acro lessons combined per week are not mandated to compete in the Intermediate Artist level, but are not allowed to compete in the Beginning Artist level. Dance may move up and compete in the Elite Artist level. Dancers who take 5 or more hours of dance/acro lessons combined per week. Beginning Artist and Intermediate Artist level dancers may compete in the Elite Artist level. Dancers competing as a soloist in the Elite Artist level cannot compete in any routine in another level. Jr. High and High School. High division is for dancers entering or currently enrolled in a Jr. High School. High School division is for dancers entering or currently enrolled in High School. Ages for Duet/Trios and Groups are as of January 1st of the current year. Ages for Solos are as of January 1st of the current year. For Duet/Trios and Groups, the ages of all contestants as of January 1st must be averaged together. If there is a decimal, round down and drop the decimal. Names and birth dates of all contestants must appear on the entry form or it will not be accepted. (4-6 years), (7-8 years), (9-10 years), (11 years), (12 years), (13-14 years), (15-16 years), (17-19 years), (20 and over). Duet/Trio and Group entries cannot compete in an age division more than one age division younger than the oldest dancer’s age as of January 1st regardless of the average age. Routine must consist of ballet technique. Must include classical steps and movements. Pointe shoes allowed. No acrobatic tricks are allowed. Routine consisting primarily of Hip Hop Technique. The judges will score music containing inappropriate lyrics lower. Acrobatic tricks are allowed in this category. Routine featuring any style of dance that interprets a song from a Broadway show, musical, movie, television show. May incorporate either dance or acrobatic techniques. Routine must consist of primarily jazz technique. Routine must contain tap technique and primarily tap work. A routine utilizing either traditional or contemporary style clogging technique. Routine should utilize contemporary style to show extension, balance, can combine lyrical, modern and concert style techniques. Routine should utilize the lyrics while demonstrating balance, extension, isolations and control using the mood of the music. A routine using controlled acrobatic moves such as walkovers, limbers, handstands, chest rolls, etc. may contain gymnastic passes. The majority of an acrobatic routine must be acrobatic moves, but it must contain dance moves, steps, and choreography. A routine incorporating the use of Pom Pons. Pom Pon routines must use precise and definite movement. Any of our listed categories or combinations of listed category styles. A routine utilizing a group of at least 10 dancers incorporating any style/styles of dance or acrobatic. Production routine must include props. Production category has a time limit of 6:00 minutes. A 2 minute grace period will be allowed for set up and take down of props. Adult dancers 20 years of age or over who are teachers, assistant teachers, professional dancers. Teachers Solos, Duet/Trio, and Groups can compete in all types of dance. All Duet/Trios or Groups with at least one Teacher competitor must enter the Teachers’ category. Adult/Teacher category will not be considered for overall awards. A panel of competent judges will judge contestants. All entrants agree that the time, manner, and method of judging the contest shall be solely within the discretion of the directors and producers of Young Artist and that all decisions of the judges are final. If dance movements, music lyrics, or costuming are deemed to be too suggestive or otherwise inappropriate for our family audience, or if the music contains vulgar or inappropriate lyrics, the routine will be scored lower by the judges. Time limits are allotted per routine. A deduction of one point will be made for every 30 seconds in excess of the allotted time limit. Soloists are limited to two solo performances. Soloist cannot compete more than once in the same dance category and age. This means that contestants must never compete against themselves in the same age group and dance category. Soloist with more than one solo will only have the highest scoring solo included in overall awards. Enrollment/routine change after the event schedule appears are subject to change at the discretion of the director. Routines are expected to perform in the order they are scheduled. Routines must be performed during the session in which they are scheduled. If the routine cannot perform during the awards session in which they are scheduled for any reason: It can be performed for adjudication only. The routine would not be eligible for overall awards. It will be announced on stage at the end of the corresponding awards and given the appropriate adjudication award. Routines deemed inappropriate for our audience, or if the music contains vulgar or inappropriate lyrics, or if the costumes or movement are inappropriate, the routine will be scored lower by the judges. Routines that are obviously under-placed into the wrong skill level may be elevated by the judges/director to protect the fairness of competition. A routine that is not completed for a reason outside of the control of Young Artist will be allowed to re-perform the routine for adjudication. The routine will, however, be disqualified for receiving any and all overall awards. Ties will be broken based on Technique score. If the technical score does not break the tie, the following levels will be considered until the tie is broken: Artistry, Execution, Choreography, Overall Impression.. Props are allowed on the Young Artist Stage. We encourage the use of creativity in set design and using the stage to present the best routine in the safest way possible. Props must be freestanding. There will be no use allowed of theatre flybars. Excessive set-up and removal time will be taken into consideration by the judges and will result in point deductions. No usage of fire, knives, guns, swords or other combat weapons are allowed of the Young Artist stage. Items that are “fake” and resemble real weapons must be cleared by the director before entering the stage. No smoke and/or fog machines, liquids or any other items that will effect the surface of the stage will be allowed. Any items left on the stage must be immediately cleaned after the routine to protect the safety of the dancers in following routines. Each routine must provide its own music with the appropriate contestant number on a CD or uploaded through the Dance Genie prior to the schedule release. It is recommended to have a backup in the event of a malfunction. Platinum, Gold, Silver Awards will be decided by a predetermined range of points for each place. In the Elite Artist and Dance Line Levels, dance routines are also eligible for the Crystal Award. The Inspiring Artist Award is given to one soloist in any age division the demonstrates impeccable artistry and technique. 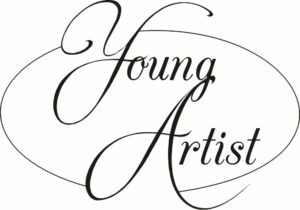 Each judge will nominate (2) soloist in any age division that they feel meet the qualifications of The Inspiring Artist Award. Judges will vote among themselves and select 1 soloist in any age division. Soloist with more than one solo can only received one nomination. Judges will nominate routines from each age division to participate in the Prime Time Artist Showdown based on entertainment only. Adjudication scores are not considered during the nomination process. Studios are limited to no more than 2 routines in The Prime Time Showdown. Studios may have 1 routine in the 11 and under and 1 routine in the 12 and over. Studio may have 2 routines in one category but will not be eligible for a nomination in another category. The Prime Time Artist Showdown will be judged based on entertainment value on a 1-25 scale. Ties will be broken by the Director. Winners in each category will be announced during the final awards session of the day. Awarded to the highest scoring group routine of the competition. This award is inclusive to any group in any level of competition. Dance line and Teacher/adult categories are not included.